Cells that break away from a cancerous tumor and circulate in the bloodstream are a serious threat to helping cancer spread, or metastasize, throughout the body. Finding these circulating tumor cells (CTCs), however, can be like searching for a particular needle in a stack of needles. One milliliter of blood contains about five billion red blood cells, 10 million white blood cells and only 10 tumor cells. 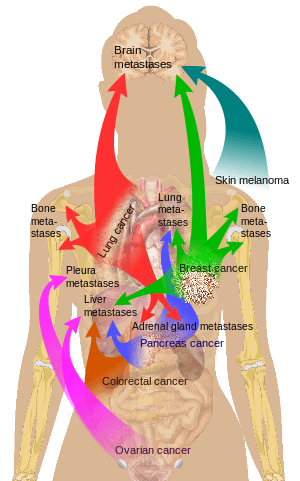 Yet early cancer detection and treatment is a person’s best chance of survival, And because metastasis is responsible for 90 percent of cancer deaths, researchers have spent decades trying to develop blood tests that can effectively spot CTCs before they can form new tumors. The biggest challenge has been quickly examining billions of rapidly moving blood cells in a sample at a resolution high enough to identify the cancerous intruders. Researchers at the University of California, Los Angeles, (U.C.L.A. ), are developing a system that combines an optical microscope with a device for counting and studying cells, along with a high-speed image processor they say can take blur-free images of fast-moving cells, a significant step toward catching CTCs in the act. The researchers described the system last month in Proceedings of the National Academy of Sciences (PNAS). An instrument must meet two major requirements to detect CTCs in a blood sample. Of course, it must have a high sensitivity or signal-to-noise ratio to identify the signals, says lead author Keisuke Goda, a U.C.L.A. program manager in electrical engineering and bioengineering. “And it must be high speed, otherwise it would take a ridiculously long time [to find a cancer cell] because the background cell count is huge.” The STEAM flow analyzer is an automated microscope 100 times faster than the automated microscopes hospitals sometimes use for disease identification, he adds. The researchers are now doing clinical testing on breast, lung, stomach, prostate and intestinal cancer patients’ blood samples. Longer term, they want to quickly diagnose additional cancer types, including ovarian and pancreatic cancers, which are fast-spreading and require early detection for a patient to survive, says Goda, who was recently appointed as a chemistry professor at the University of Tokyo but will continue his research with U.C.L.A. He adds that a relatively noninvasive blood test would encourage people to get screened frequently.